Find the latest 2012 Buick Enclave recalls as issued by the National Highway Traffic Safety Administration (NHTSA) and Manufacturers. Consequence Failure of the side impact air bags and seat belt pretensioners to deploy in a crash increase the risk of injury to the driver and front seat occupant. Consequence IF THIS OCCURS, DRIVER VISIBILITY COULD BE REDUCED, INCREASING THE RISK OF A CRASH. Notes GM?S SAFETY RECALL CAMPAIGN NUMBER IS 12036. CUSTOMERS MAY CONTACT THE NATIONAL HIGHWAY TRAFFIC SAFETY ADMINISTRATION'S VEHICLE SAFETY HOTLINE AT 1-888-327-4236 (TTY: 1-800-424-9153); OR GO TO HTTP://WWW.SAFERCAR.GOV. Remedy GM will notify owners, and dealers will replace the affected harness connections with soldered connections, free of charge. The manufacturer has not yet provided a notification schedule. Buick owners may contact the owner center at 1-800-521-7300, Chevrolet owners at 1-866-694-6546, Saturn at 1-800-553-6000, and GMC owners at 1-866-996-9463. GM's number for this recall is 14030. Note: Vehicles repaired as part of Customer Satisfaction Campaign 10085 and special coverage 10335 have already had the subject condition repaired and therefore are not included in the safety recall. Remedy GM WILL NOTIFY OWNERS, AND DEALERS WILL TIGHTEN THE WIPER ARM NUTS, FREE OF CHARGE. 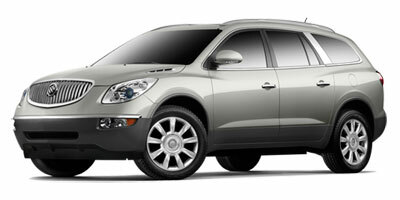 THE SAFETY RECALL IS EXPECTED TO BEGIN ON OR ABOUT APRIL 16, 2012. Summary GENERAL MOTORS (GM) IS RECALLING CERTAIN MODEL YEAR 2011-2012 CHEVROLET TRAVERSE, BUICK ENCLAVE, AND GMC ACADIA VEHICLES CURRENTLY REGISTERED IN ALASKA, COLORADO, CONNECTICUT, DELAWARE, IDAHO, ILLINOIS, INDIANA, IOWA, MAINE, MARYLAND, MASSACHUSETTS, MICHIGAN, MINNESOTA, MONTANA, NEBRASKA, NEW HAMPSHIRE, NEW JERSEY, NEW YORK, NORTH DAKOTA, OHIO, PENNSYLVANIA, RHODE ISLAND, SOUTH DAKOTA, UTAH, VERMONT, WEST VIRGINIA, WISCONSIN, WYOMING AND THE DISTRICT OF COLUMBIA. SNOW OR ICE BUILDUP ON THE WINDSHIELD OR ON THE WIPER RESTRICTS THE MOVEMENT OF THE WIPER ARM, THE WIPER ARM MAY LOOSEN AND CAUSE THE WIPER TO BECOME INOPERATIVE. Summary General Motors LLC (GM) is recalling certain model year 2008-2013 Buick Enclave and GMC Acadia and 2009-2013 Chevrolet Traverse and 2008-2010 Saturn Outlook vehicles. In the affected vehicles, increased resistance in the driver and passenger seat mounted side impact air bag (SIAB) wiring harnesses may result in the SIAB and seat belt pretensioners not deploying in the event of a crash.